I have a confession. I don’t watch Duck Dynasty. It seems like everyone in my facebook feed is all geeked up for the show, but I have only seen one episode, and that was in preparation for this post. While I watch a lot of TV, I am more of an hour long drama girl than a 30 minutes reality show watcher. However, in addition to the general pop culture frenzy around Duck Dynasty, friends have told us we need to watch the show because our son is a “Si.” People kept telling us about this crazy, funny, occasional beacon of wisdom called Uncle Si. 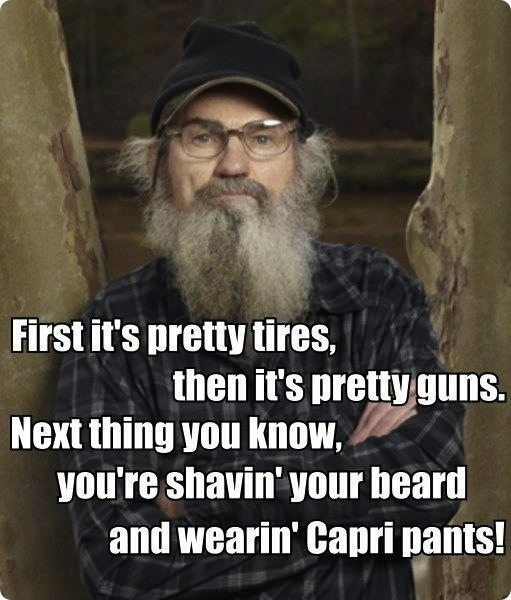 I looked up some Uncle Si quotes online and was giggling in seconds. 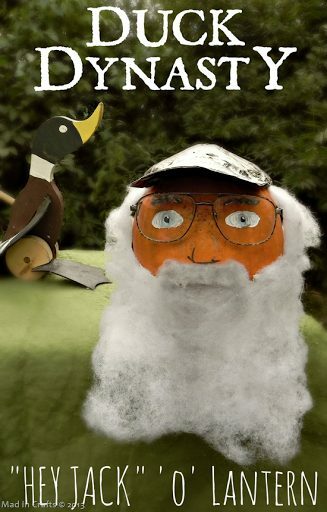 When I was asked by Duck brand to make a pumpkin using their amazing tapes, the pieces all fell together. 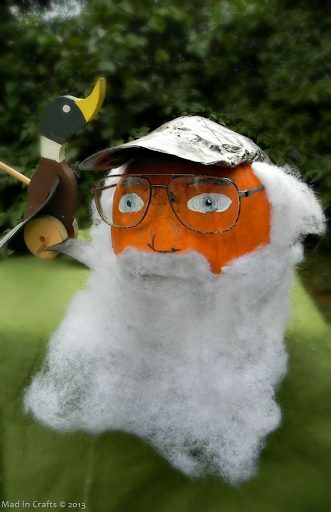 Duck® tape + Duck Dynasty + Uncle Si’s “Hey Jack” catch phrase + Halloween pumpkin = a Duck® Tape Dynasty “Hey Jack” ‘o’ Lantern. 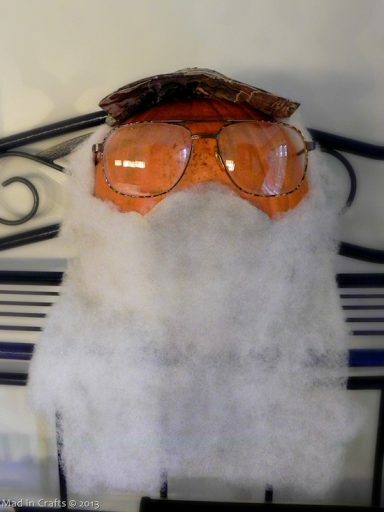 So, without further adieu, here is how I created our very own Uncle Si in pumpkin form. 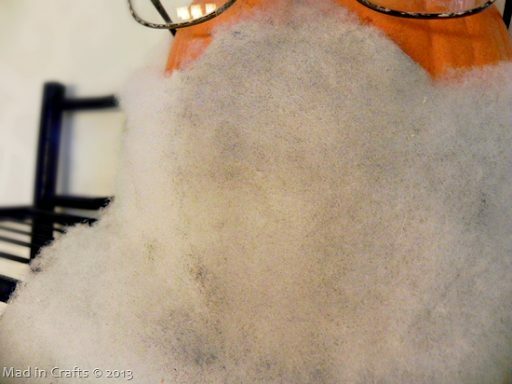 I started by creating a fabric backing for Si’s beard. 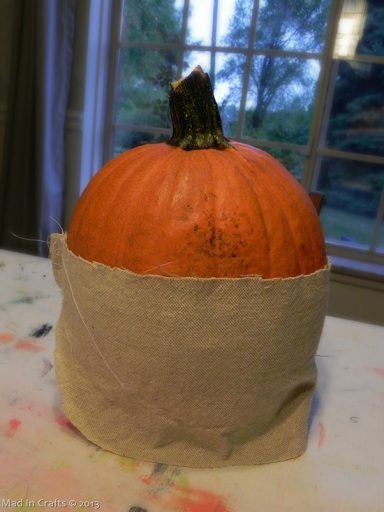 I wasn’t sure that the batting would glue directly to the pumpkin, and by using the fabric the beard can be removed after we have to get rid of the pumpkin. Future Halloween costume? 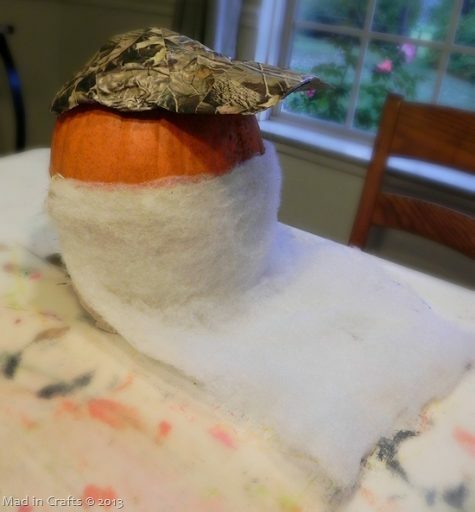 To make the beard backing, I cut a piece of off white fabric in the rough shape and size of the beard and sewed on a length of elastic so the beard would stay in place on the pumpkin. 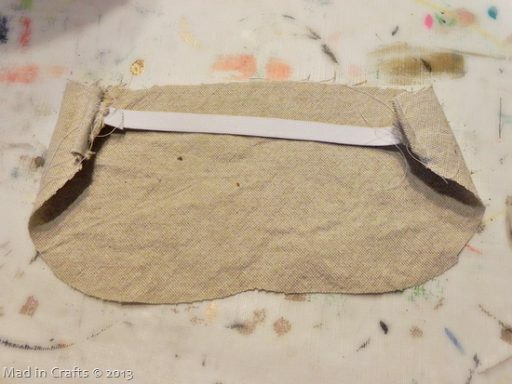 Next I used Aleene’s Super Thick Glue to attach the cotton batting to the fabric. You can shape and “frizz” the beard later, so don’t worry about shape or style yet. I covered the foil hat with Duck® brand’s hard wood camouflauge tape. 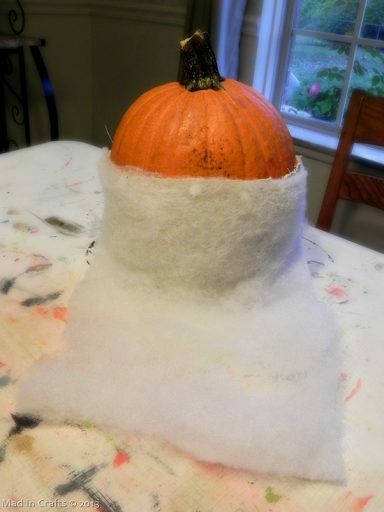 It ended up looking very much like a real hunter’s cap. 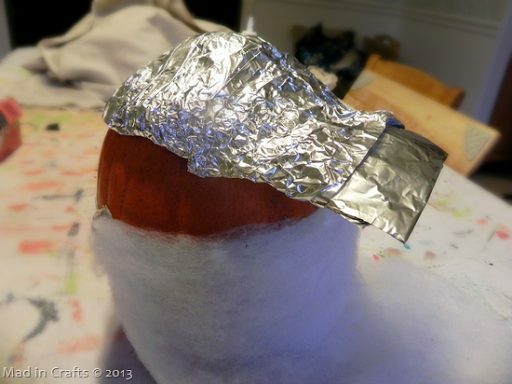 Because the base of the hat is tin foil, I could manipulate it to create the right curve on the bill. 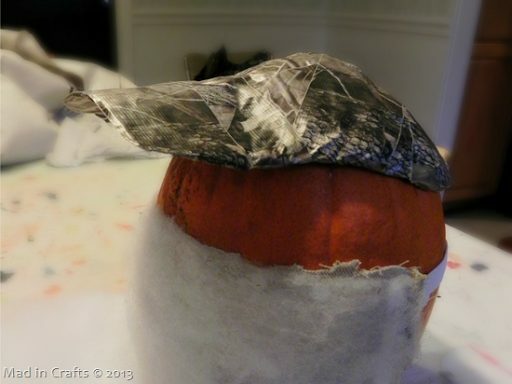 I attached the hat to the pumpkin with Duck® tape. I added a bit more batting under the hat for Si’s sideburns, and added on my dad’s old eyeglasses. I trimmed the beard to mimic the shape of Uncle Si’s beard and fluffed the beard and sideburns out. Since Si’s beard isn’t snowy white, I used some of my old black eye shadow to darken up portions of the beard hair. It was starting to look quite a bit like Uncle Si was sitting on our dining room baker’s rack! I painted on some eyes and a nose with craft paints and called it good. 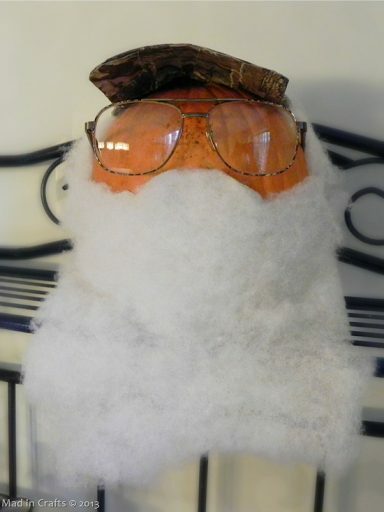 It doesn’t look exactly like Uncle Si, but I think it’s pretty darn close pumpkin-wise. 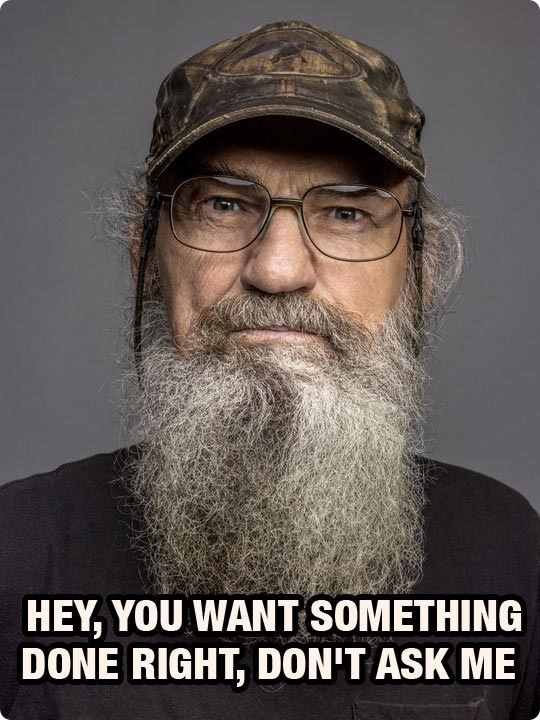 And if you don’t like it, I am going to let Uncle Si respond on my behalf. Show off your scary good pumpkin skills by decorating a pumpkin with Duck® brand tape and entering it in their Stick or Treat Contest before 10/31. The prizes are fantastic! The first place winner will receive $1000 and a Cricut Mini Personal Electronic Cutter, the second place winner gets $500, and third place wins $300! Winners will be announced November 11th. I would love to see your creative pumpkins too! Share your pumpkins on the Mad in Crafts facebook page, and I will give special shout outs of the ones I like best. For more creative projects using Duck® brand tape, be sure to follow @TheDuckBrand on Twitter.